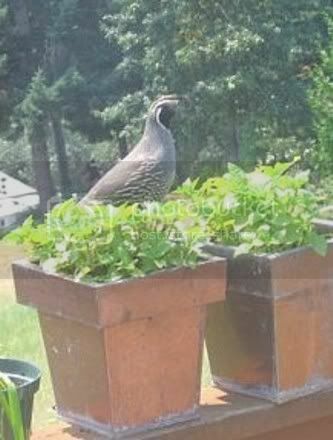 Article is from www.bananabeltgardening.com forum and written by my friend, Patty Spencer of Roseburg, OR. …But I’ve grown an abundance of it every year, for as long as I can remember. Before moving to Oregon, I lived in a northern region with a very short growing season, so I grew only vegetables… there wasn’t time to play with flowers. I focused a lot on companion planting, always planting basil among my veggies, to keep the bugs away. The basil was always so pretty & it didn’t take long before I was just in love with it. After I moved to a place that actually has enough “summer” to raise flowers, I started planting it every where! In my flower beds, the deep green color accentuates the foliage of other plants, it’s really great for borders & makes a good backdrop, behind ornamentals. Some plants don’t do well in “hot” soil, but basil certainly is NOT one of them! 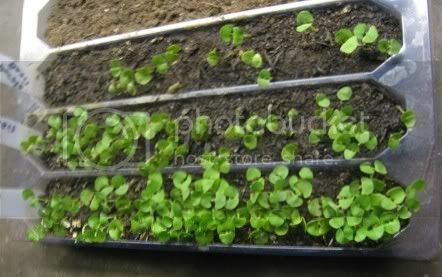 Getting it started can be touchy, and my observation has been that warm soil & lots of water (good drainage) are the keys to growing Basil from the seed stage & beyond, throughout the growing season. I’ve never seen Basil get so huge… SO FAST! When I started basil seeds indoors the following year, my seedlings bit the dust after about 3 weeks! This is about as far as they got after I’d planted them indoors under grow lights. Two weeks after starting seeds indoors. (May) The following week they got leggy and died off. I figure that I’d made 2 major mistakes… planting them too early, and not providing adequate heat under the starter trays. Everything else came out fine, that I’d started indoors at the same time, but I think the little Basil sprouts had simply used up all their energy trying to thrive in what, to them, was “cold” dirt! 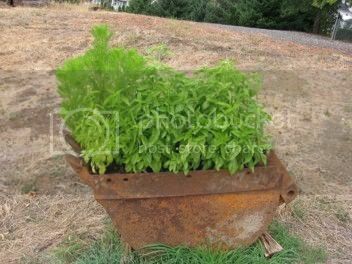 I remembered that when I had moved the plants from the backhoe bucket into my gardens, the soil in that big metal container was almost uncomfortably warm from sitting there in the blistering heat… so I had a brainstorm & planted basil seeds in copper pots in the middle of May. (I set them out where they would be in the sun during the day & brought them indoors every night… always keeping them in temps above 50°.) They took off like a shot! I was able to transplant them to the garden as soon as the ground warmed up. I’m not sure which other plants respond this way when their seeds/roots are in real warm soil, other than Sun flowers & Zinnias. * Apparently deer don’t appreciate aroma therapy, so they steer clear of basil stands. (They would rather snack on mild things… like peas & beans!) Dill, Devil’s Claw, Marigolds & Anise are all in that same pungent, aromatic category. * Basil keeps most of the “bad” bugs away (mosquitoes, tomato worms, aphids & whitefly) & also helps prevent soilborne diseases & mold in veggie gardens. * When planting basil with your tomatoes, they should be within 18″ of each other. Be sure that the basil is on the “sunny side” rather than in a spot where they’ll be shaded by the tomato plant. * Basil flowers are pretty & will attract bees & butterflies, but don’t let them go for very long before clipping them off. 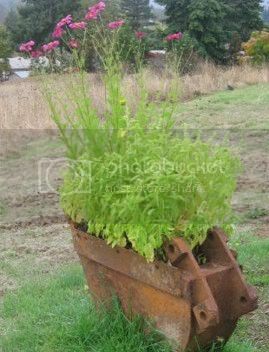 This will force energy back into the plant & make it last longer. I’m surprised to hear that your basil babies died out! My basil sprouts currently look exactly like what yours do in the photo. I sure hope they don’t die out like yours. What temperature was your grow room? It’s been a few years since I grew the basil. It was outside on my front porch. I am learning that even in Oregon where it doesn’t really get all that hot, it gets hot enough to need to go out and water potted plants every afternoon. 🙂 It just helps. ha! Thanks! !